The hot, summer days are slowly falling behind us as we make our way gently into a new year. Many of us have cast our resolutions into the world, with a boost of mindfulness and positivity being at the forefront of our yearly trajectories. 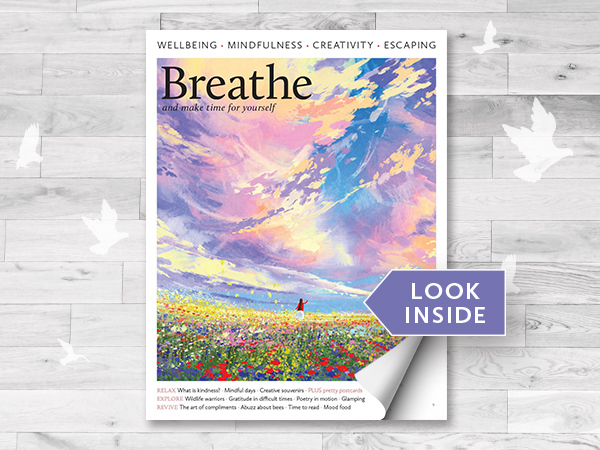 Here at Breathe, we’ve turned our attention to all things light and sunny such as bees, flowers, books, and unique art and poetry for our 7th issue. Relax and revive with our insightful articles on kindness, the art of compliments and ways to find gratitude in times of sorrow. Be inspired by female ‘wildlife warriors’ in India and South Africa as well as the works of painter and illustrator Natasha Newton, of whose unique art we implore you to try your hand at in our Creativity chapter. Welcome to another year of Breathe. We are excited to continue on this path with you, our beautiful readers. The journey is as it has been from the start, a slow and thoughtful one brimming with creativity, kindness, wonder and wellness.